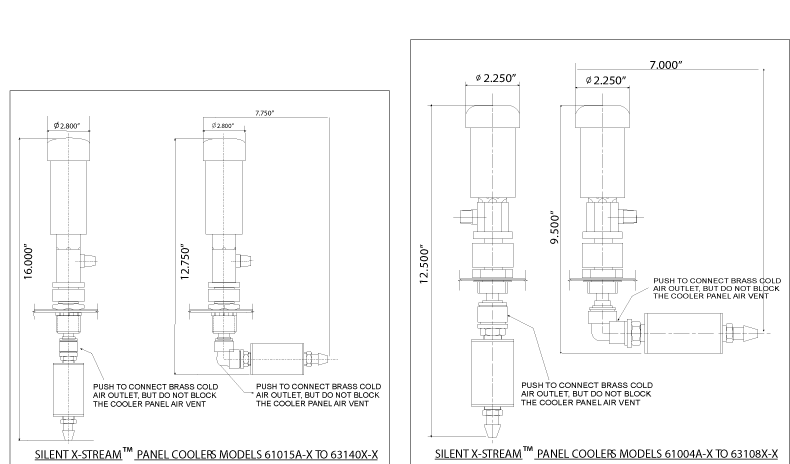 The Silent X-Stream™ Frigid-X™ Panel Cooler series for electronic control panels provide a low cost method of both purging and cooling electrical and electronic control panels by using a stainless steel vortex tube to create cold air from ordinary compressed air. 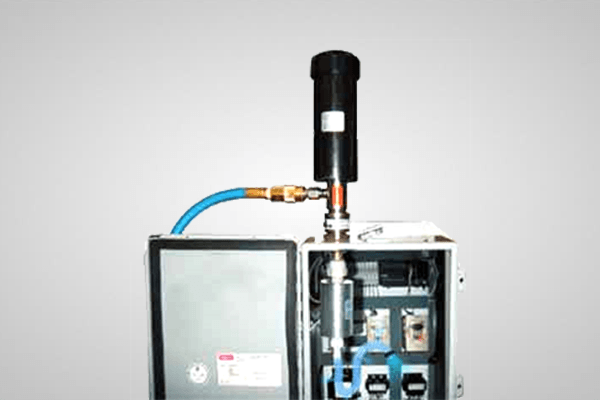 By Utilizing a hot and cold end muffling kit the unit is made extra quiet to under 64 dBA depending on capacity. The hot end muffler also acts as a “heat guard” – you can wrap your hand around it without feeling much heat. The hot air is exhausted safely underneath the hot end muffler. The panel cooler series are compact and can be installed in minutes through a standard electrical knockout. There are virtually no moving parts. Note: Always question non-approved units used on electrical enclosures to ensure that your panels are not damaged by inferior products. All units 303/304 stainless steel for corrosive environments and long life. Utilizing a hot and cold end muffling kit the unit is made extra quiet to under 64 dBA depending on capacity. The hot end muffler also acts a “heat guard” – you can wrap your hand around it without feeling much heat. Silent X-Stream™ NEMA 12 (IP56) Quiet Panel Coolers for standard cabinet enclosures and panels. Silent X-Stream™ NEMA 3R (IP14) Quiet Panel Coolers for cabinet enclosures and panels in outdoor use. Silent X-Stream™ NEMA 4-4x (IP66) Quiet Panel Coolers for cabinet enclosures and panels in wash down applications.